Having reached WP4 a day early, we decided to take it easy today, and just do some sightseeing around the local system. 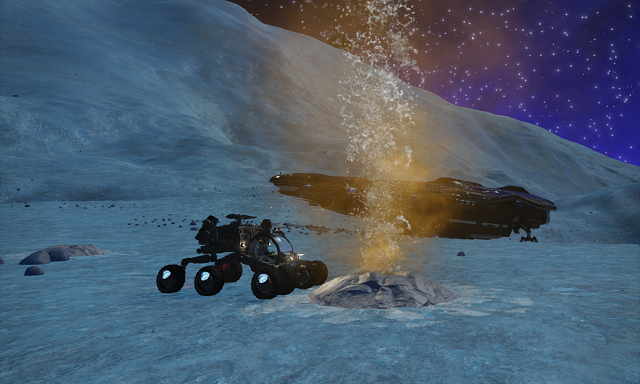 First on the list was to take a closer look at the water geysers at the meet-up site. These had a frequent cycle time, and seemed to be outputting a yellow gas as well as water. Sulphur gas? It looked suspiciously similar to the sulphur geysers on Earth. The meet-up sight was quite busy, with a constant stream of ships landing and taking off, a large proportion of which seemed to be Anacondas - apparently the exploration ship of choice at the moment. While the carrying capacity and jump range on a 'Conda is very impressive, especially if you sweet-talk some of the galaxy's reclusive engineers, I'm not sure I could deal with the slow SC handling on a long journey. Star Reaper is carrying everything we need for this trip, and handles very sweetly in SC, and she allows me to actually see where I'm about to land! Watching some of the instruments-only landings of the 'Condas had me concerned for those commander's life expectancy (and the life expectancy of their wallets due to the repair bills they were racking up!). Hope they get some practice in before the next hi-G world! As it was getting pretty busy, we decided to go and see the sights from SC - it was probably safer up there! 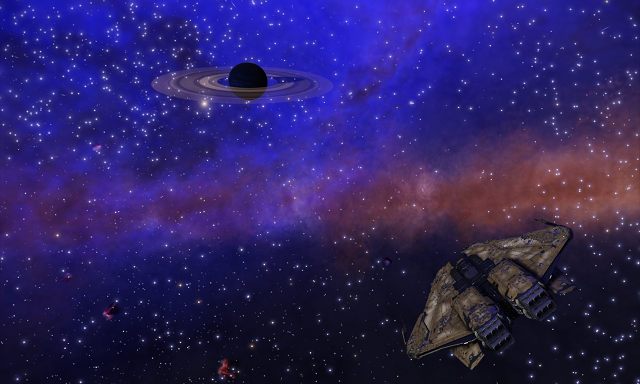 This system really is stunning! 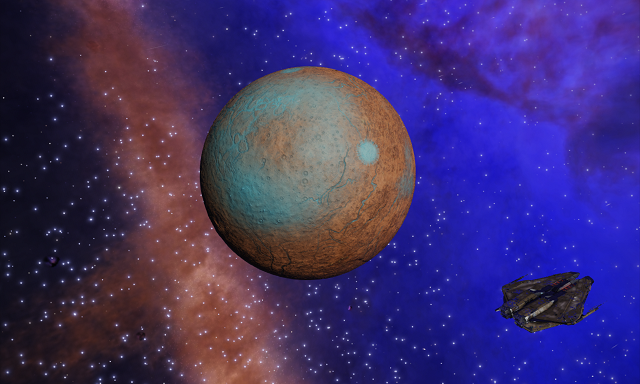 Again, congratulations to the DW2 organisers for their choice of location. After a gentle tour of the system, we headed back to WP4, found ourselves a safe(r) landing spot on a cliff, a little bit away from the main landing zone, and settled down to watch the comings and goings. This place will get even busier tomorrow, and then will suddenly be left in silence with just some ship hull debris left as a reminder of the passing of the fleet.